BEIJING, Feb. 11 (Xinhua) — Railway trips in China reached 60.3 million during the week-long Spring Festival holiday from Feb. 4 to Feb. 10, data from the national railway operator showed Monday. Hundreds of millions of Chinese went back to their hometowns to celebrate the Chinese Lunar New Year with their families. The annual travel rush around the festival, known as “chunyun,” often puts the country’s transportation system to the test. 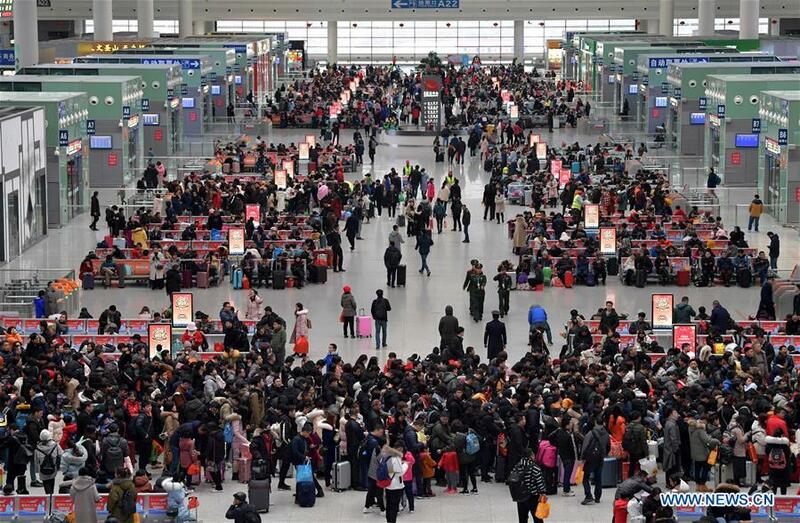 This year’s Spring Festival travel rush started from Jan. 21 and will last till March 1, with railway trips expected to hit 413 million in total, up 8.3 percent.